Bertran Enginyeria SLP, company concerned about social welfare. Bertran Enginyeria SLP, is a company aware of social inequalities in our country. For this reason she is a member of Cruz Roja and collaborates with Cáritas Arciprestal. 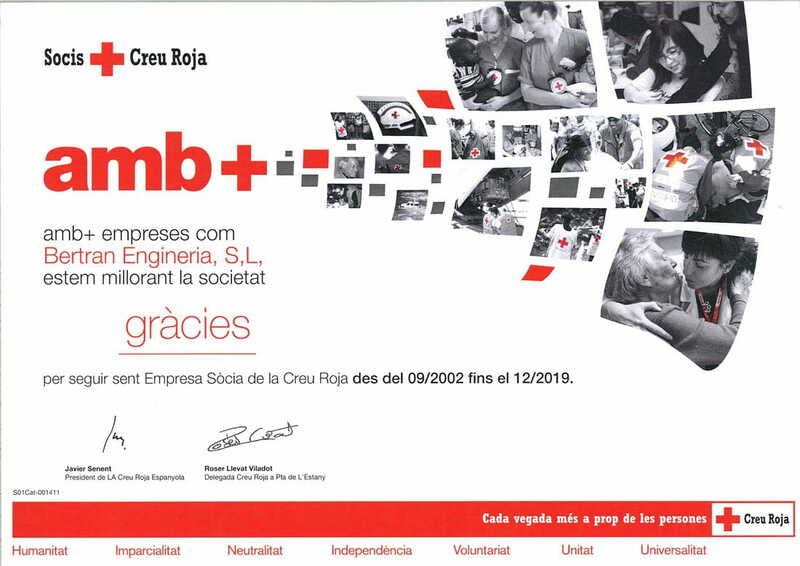 Bertran Enginyeria SLP, is a member of Cruz Roja since 2002, and collaborates annually with an economic contribution to this entity. He also collaborates with Caritas Arciprestal del Pla de l'Estany, providing computer material for the programs of social integration and socio-labor orientation of the entity.